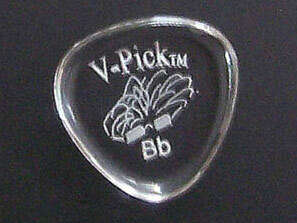 4.10mm - The Bb is a very fast, fast, fast pick. Laser cut the same size as the Medium Rounded and 4.10mm thick, this pick delivers all the tone you have ever dreamed of. The reason this pick is so fast is because of the rounded corners and beveled edges that are carefully calculated for performance. Round enough to eliminate any resistance, and yet pointed enough to give good articulation and precise attack. Lots of mids! Big low end! And a creamy, singing high end! 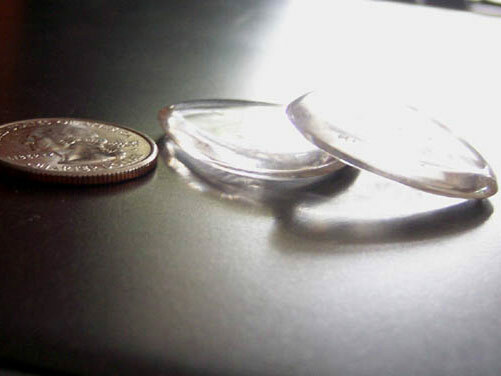 This pick is VERY easy to hold onto due to the thickness and material. You will not drop this pick. 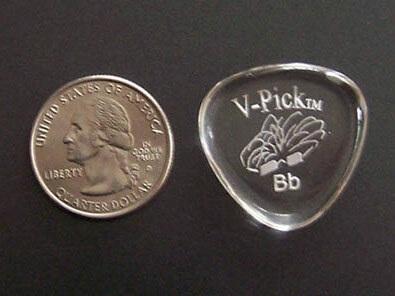 If you have never played with a 4.10mm pick before, then you have a pleasant surprise ahead of you! You won't want to put this pick down! Just think of all the practice time you will get in! it is what it says in "notes"...fast! took to it right from the getgo. 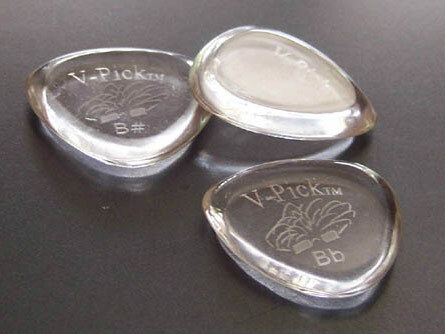 i use a variety of thicknesses in my selection of picks. this plus a wegen 3.5 are my current faves. 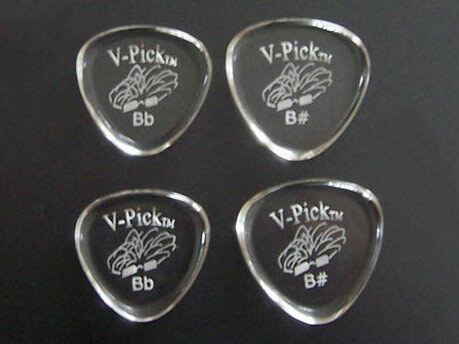 buy this pick. you're in for a treat. wonky fiedler, les singes volants.